Regional Arts Australia was founded in 1943 as the Arts Council of Australia. Today’s organisation is a not for profit national body that works with and for regional artists, arts workers and arts organisations to support and increase understanding and appreciation for regional arts practice. undertakes research that encourages sustainable economic, social, cultural and environmental development in regional communities. Regional Arts Australia’s champions the politics and poetics of regional, rural and remote practice and maintains dialogues across multiple platforms, policy agendas, economic development, industries and landscapes. 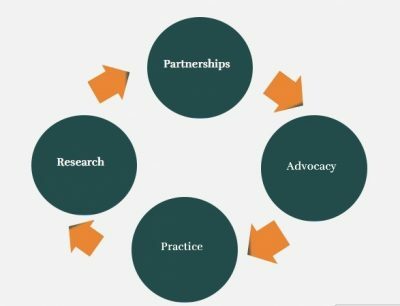 Our vision is cross-disciplinary, inter-generational and inclusive and our national reach ensures we can facilitate significant outcomes through; partnerships, advocacy, practice, and research. Builds cross-industry partnerships, in areas such as health, education, tourism and agriculture. Our advocacy work leverages dialogue across the three tiers of Government and champions regional arts beyond the regional arts sector. RAA advocates for social inclusion, creativity and accessible cultural and artistic experiences nationally. RAA works to raise the profile of regional artists nationally and internationally and advocates for the development of cultural infrastructure that helps strengthen communities. Our programming supports high quality arts’ practice and champion’s best practice. We do this through the Regional Arts Fund and programs such as Artlands (Australia’s biennial regional arts event), the Regional Arts Network (a free, member-based network) a national fellowship initiative and professional development opportunities. RAA’s strategic framework is designed to bridge a cultural and geographic divide by respecting and valuing contemporary regional practice across the national arts landscape. This intentional framework is embedded in First Nations’ dialogue and provides a structure for purpose and knowledge that by design is embedded in place-based creativity and industry best practice.